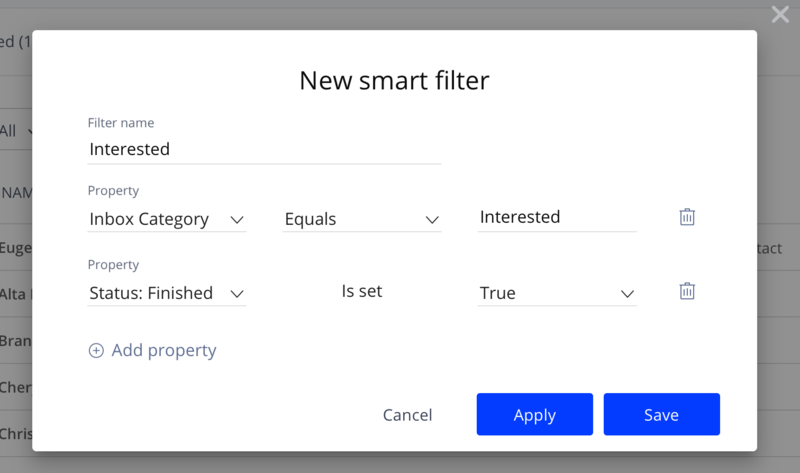 In the Property field, select Inbox Category. Select the Equals Interested condition. Click Add property to add the second property. Select the Is set True condition.